Opening my business is the scariest, yet most rewarding decision I've ever made. Today, I'm sharing what to know before starting starting a nutrition private practice for any of you aspiring entrepreneurial dietitians. Note: If you have any specific questions about starting a private practice, please ask in the comment section versus email. I SO wish I had time to answer each one of your emails individually, but unfortunately one of the realities of running a business is that it takes a lot of time! Update: I now offer career coaching calls for aspiring private practice dietitians! Check out my service page for more information. Update 2: Check out the bottom of the post for more resources! Tomorrow is my 31st birthday. Insert the cake and balloon emojis that I don't know how to put into my blog because I'm technically challenged!! This year, April 4th has a special meaning to me. One year ago today, I nervously walked into my bosses office, put in my 3-week notice, and quit my well paying, government job with great benefits so I could pursue my dream of opening a private practice. When I announced it on the blog last year, I eloquently summed it up by stating "OMGAOHTIOAFJDIAFOJESAFSHJIFNJ;A IEROR SA." I still kinda feel the same way. Y'all, I am one of the most rational and level-headed people on this planet, not to mention, kind of a weenie that's scared of just about everything. The idea of running my own business was terrifying, and still is. I felt confident in my skills as a dietitian and nutrition coach, but running a business?? Not so much. It was always my dream to start a private practice. In college, I wanted to open a wellness studio for moms and kids where they could exercise together in a fun, play-centered environment and take cooking classes and nutrition seminars. Looking back, I don't really like kids nor do I like exercise, so clearly, it wasn't such a great idea. Still, I had an entrepreneurial bug. My dietetics internship at Emory was clinically focused, and after I graduated, I started working in a clinical position at a small, community hospital. My job let me dabble in a little bit of everything. I spent each morning in the ICU doing critical care nutrition, but I also taught nutrition classes for cardiac rehab, saw outpatient appointments, and counseled inpatients on the heart unit. After almost 2 years, I left that job, moving to Columbia to be near my boyfriend, now the hubs. I got a job at a large medical center as an outpatient dietitian, providing individual nutrition counseling and teaching classes. At the time, I called it my dream job. I loved working with Veterans and I felt both successful and challenged in what I did. Over time however, I realized in that type of setting where client load and numbers rule, I couldn't provide the type of care that truly transformed health and wellness. I wanted to be able to provide more intensive, diverse and holistic nutrition services than a large medical center could allow. Plus, I had recently started a blog that was starting to become profitable and nurtured my creative side. I wanted to what I could make out of it. Over the course of two weeks, I learned of a change at work that was going to set me back career-wise and make it hard for me to help my clients, Scott got a promotion, and I stumbled upon an office I could afford. All signs were pointing for me to move on. So, without much planning or foresight, I left to start my business. In the last year, there have been ups and downs, but as I round out 365 days of being my own boss, I can honestly say it was one of the best decisions I've made in my life. No, my business isn't exactly where I want it to be, but it's getting there, and I'm feeling fulfilled, inspired and helping a lot of people in the process. Still, looking back, I could have been a lot more prepared! Here's what I wish I knew and what I've learned in the past year. 1. You don't have to be a clinical dietitian. I repeat, you do not have to be a clinical dietitian to get your "base knowledge." Pursue the path you want, right off the bat, whether that's public health, nutrition counseling, school nutrition or hey, maybe clinical. It's the best way to gain the skills you need for the career you truly desire. That said, inpatient, hospital jobs are easier to find and I hear from many aspiring private practice/nutrition counselors that took a clinical job out of necessity. Make the most out of the experience. Many dietitians think patients don't want to learn when hospitalized, so they bump education consults to the bottom of their priority list. To a certain extent that's true - someone still halfway anesthetized from surgery or vomiting up blood doesn't want to chat about food, but many still do. When I was working clinical and covered a cardiac floor, I put tons of time and effort into educating and coaching those patients. It gave me basic counseling skills, and when I saw many of those patients again in cardiac rehab, they had made big changes based on what we talked about. 2. Think about your passions. Start using this time to figure out you're passionate about and start developing that into a marketable skill. Love photography? Invest in a camera, sign up for courses and maybe a career in food styling or blogging awaits. Are you a yogi? Take courses and read books on mindful eating. Athletic? Pursue a certificate in personal training, which would be a great combo with nutrition coaching. 3. Make the most of your internship. Most internships offer elective rotations. Work with a private practice dietitian and get a glimpse into what they do. I SO wish I did this when I was an intern. 4. Start a blog. Even if you have no aspirations of becoming a blogger, I highly recommend starting your own blog. You don't have to share it with anyone - it can be something for you keep to yourself! Blogging helps you identify your passions when you pay attention to what topics you're drawn to. And by putting everything in writing, it solidifies your personal nutrition philosophy and beliefs. 5. Do things that scare the s*** out of you. Every day of running a business, you're putting your entire heart and soul out there for the entire world to see, connect to, disagree with, embrace or reject. The idea that you can fail in a very public way is terrifying and awful, but if you give into that fear, you'll never have the chance to succeed. Get used to doing scary things, whether it's public speaking, signing up for a new workout class by yourself or just striking up a conversation with a stranger (preferably one that's not driving a white van). You might fail, get rejected, and/or look like a total moron, but you'll also learn that it's a lot less traumatic than you feared. 2. Don't be afraid to sell. This was a big fear for me, and still is. But, it's kinda essential to having a viable business. When I first started, I sold nutrition counseling sessions a la carte because I didn't feel comfortable pressuring people into spending lots of money. I figured if they loved the initial session, they'd schedule follow ups. That happened sometimes, but mostly, clients went in expecting a total transformation with one session - not so realistic. Since then, I've started selling nutrition services in packages, and it's been much more successful for me, AND for my clients. Remember, you are providing a valuable service and deserve to be compensated fairly for it and if you're providing a valuable service, people won't have a problem paying for it. 3. Get training in health coaching. I cannot stress the importance of this for everyone who dreams of nutrition counseling. I think were many dietitians go wrong is with an emphasis on education, which is rarely helpful for clients. They can read a book and know what to do - it's your job to break down barriers, foster "aha" moments, motivate and THEN educate. I was lucky to have access to two different health coach certificate programs though my last job, but if I hadn't, I would sign up for Wellcoaches training immediately. 4. Expect clients to have barriers. A comment I frequently hear from aspiring private practice RDs is "I want to work in a setting where clients want to change." The presumption is that if someone pays money to see you rather than getting counseling for free or covered by insurance, then they'll follow your advice to the T. While all of my clients at some level are ready to change, what I've learned is that everyone has barriers and at some level, is ambivalent about changing their diet. Counseling in private practice is NOT easy! 5. Learn to say no, even in the beginning. When I first started my business, I took every paid opportunity that came my way. I was placed on the referral list for a large hospital and immediately started receiving tons of referrals, most of which were for clients outside of my ideal base. A few months later, I accepted a prn job as a clinical dietitian, which turned into 2-3 days a week, because I couldn't say no when they needed help and I was scared of not making money. I was focused on making money, not building a business. After 6 months of private practice, I was overwhelmed, not all that fulfilled and the prn job had stagnated the growth of my business. Luckily, I was able to recognize that, take a step back, think about branding and relaunch with a new business plan when I relaunched my site. Since then, business has been growing steadily in the direction that I want. One thing I learned - if your reaction to an opportunity isn't "YES!!" then your answer should be no. Since starting my practice, I've learned SO much, but in hindsight, I wish I had done more planning and preparing. One thing I've realized from the vast number of emails and comments I've received since this post is that aspiring private practice RDs desperately need guidance! I know I did - and still do!! If you are looking for a business coach, I highly recommend Marjorie Geiser (<--- affiliate link). 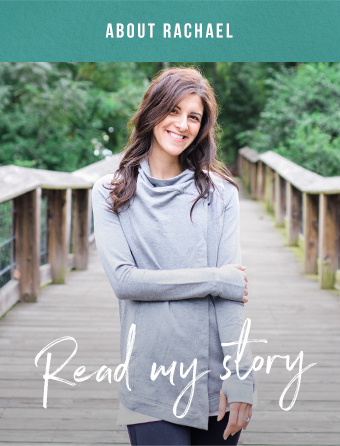 She is a dietitian and successful business coach who helps dietitians and coaches create a thriving practice that doesn't interfere with living a life they love. I've found a huge benefit just from her free weekly newsletters! Any private practice RDs reading this? Would love to hear your advice! Hey, I'm still learning too! I feel crazy honored to have been a presenter at the RD Entrepreneur Symposium, teaching a seminar on harnessing your unique voice to attract your ideal client. The symposium is packed with 18 expert sessions from six figure dietitians and marketing pros designed to give you actionable steps to grow and start your business. As someone who spent hours (and I mean HOURS!) on google trying to figure out what to do to get clients and the logistic/legal side of business ownership, I can't stress enough how valuable it is to have all your information in one place! Get more info and sign up here! I've worked with Nicole Culver, a dietitian and business coach and she is absolutely fantastic, and launching a 3 day workshop for aspiring dietitian entrepreneurs. Sign up for the free panel Q&A call with 6 expert dietitian entrepreneurs (including my dear friend Anne Mauney from Fannetastic Food) on March 14th, 2017. Or, you can sign up for her self study program filled with fantastic workshops from leading dietitians! Update 1: Check out Part 2, tips for running a nutrition private practice, written on my 2 year anniversary of starting Avocado A Day Nutrition! Update 2: I get a ton of questions about HIIPA! Here's a great article on it. Update 3: I now offer career coaching calls for aspiring private practice dietitians! Check out my service page for more information.